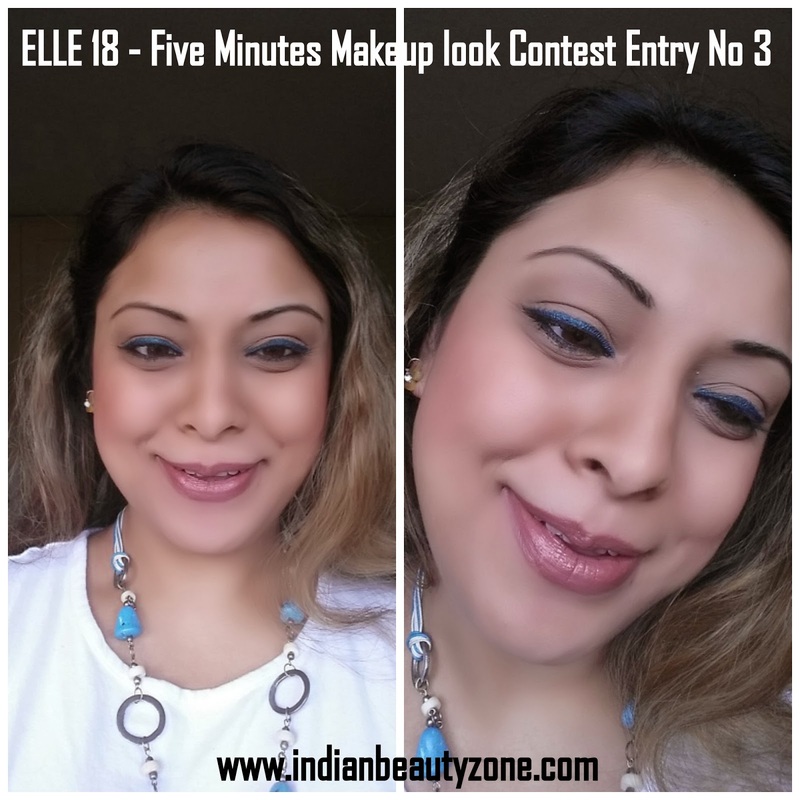 I am going to share my simple five minutes look for Elle 18 five minutes makeup look contest. This look created when I was going to my grocery shopping in Tesco. I am participating in this contest because I have valid India address. This is just a simple look.. The products here I have used all are easy to apply and time saving. It took a very few minutes to get ready to go to the shop. This look is very simple to create and you can look fresh for long time. It depends on what products you are using for creating the look. My Makeup mantra always apply foundation on the face, apply lipstick on the lips, apply blush on the cheeks, apply kajal on the eyes and then yeah you are done!!! Its just a simple look.. This is daily morning gym style look which everyone can wear. This simple look can be achieved with only 3 products and fulfills the requirements of the daily care. This is on the go makeup look and you can achieve it very easily. 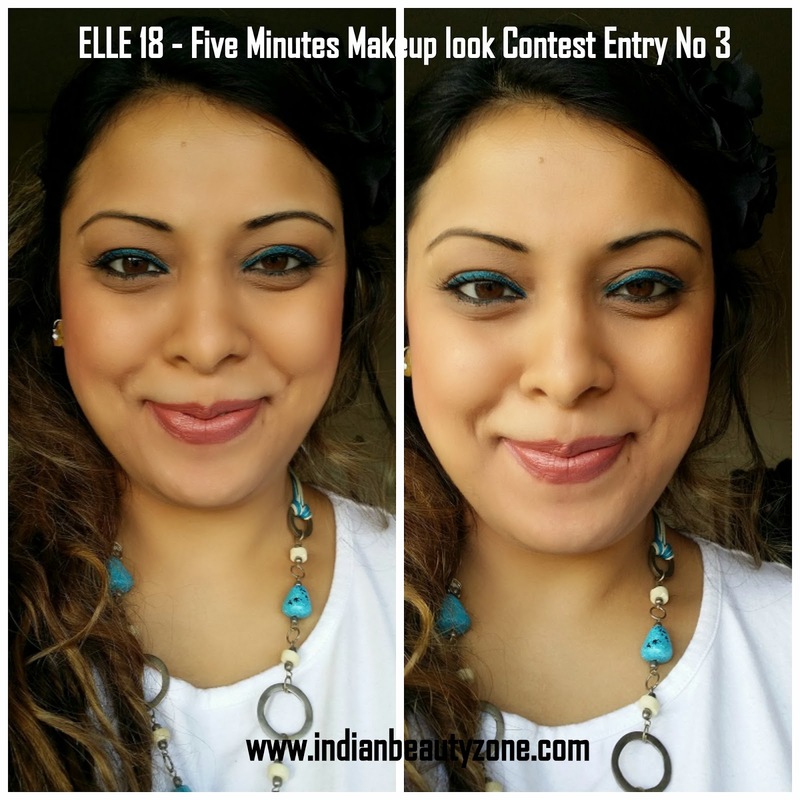 Hope you will like this simple five minutes makeup look..
Teji u look so pretty and gorgeous college goer! Yes sweethrt I changed it..glad u noticed. . Thank you for lovely commemt..
so fresh and so pretty! tried some of ur tips too ! Tej u look so pretty , that teal liner really suits u a lot ! Both look stunning, simple make up style but certainly a stand out. Wow di ur skin is looking just awesome. All the best. tejinder u look awesome...nd surbhi u too look great! Both of you look so super pretty! Tej, your skin look like butter darling! i am so glad that U liked. Tej U luk fab, gorgeous, stunning, pretty n beautiful! Came here just to say this! Vanu u made my day darling. .I m soo overwhelmed. .. Thank you soo much sweethrt..
Teju u look awesum babes.. my fav Fotd!! Ha ha...hamari grocery shopping bhi mast hoti hai..
After all tesco mein yaar..